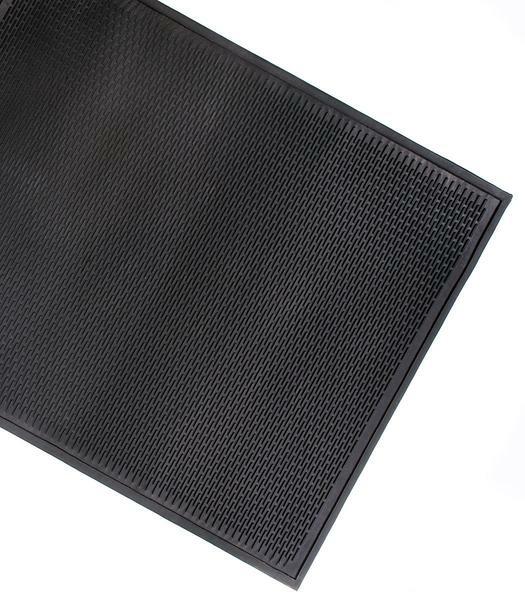 Rubber Scraper Mats effectively scrapes shoes clean from dirt and grime while providing an excellent anti-slip surface, even when wet. A 100% Nitrile Rubber construction resists oil and chemicals, making the mats serviceable and versatile in most facilities. The low profile works well for door clearance both indoors and out, while standing up to high traffic. Easily clean by sweeping or rinsing by hose.